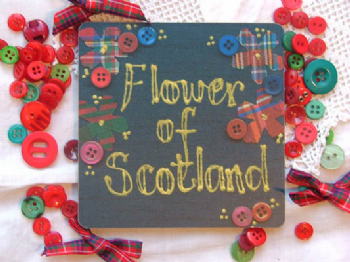 We love these Scottish coasters by Gilli Reeves. They have cork backs and laminated fronts. This coaster has a lovely tartan design and reads 'Flower of Scotland'.